Cristiano Ronaldo is a great soccer player from Portugal. He can play as a left or right wing and a center forward. He currently plays for the Spanish team, Real Madrid and for the Portuguese national team. He became a mainstay player at Real Madrid before playing for Real Madrid, he had played at Sporting Lisbon and Manchester United. Ronaldo was born on February 5, 1985 in Madeira, Portugal, the son of Maria Dolores dos Santos Aveiro and Jose Dinis Aveiro. Cristiano is the youngest of four children. He has an older brother named Hugo, and two older sisters, Elma and Liliana Catia. Liliana Works as a singer with the stage name "Ronalda" in Portugal. His family are devout Catholics and live in poverty. At the age of 14, Ronaldo agreed with his mother to focus entirely on football. At the age of 8 years where he joined the Andorinha club for 2 years (1993-1995) then moved to Nacional de Madeira (1995-1997), and Sporting Lisbon (2001-2003) in the junior period. Ronaldo started his football career by playing for the Sporting Lisbon team in (2001-2003) using number 28. He played 25 times and scored 3 goals. In mid-summer 2003, Sporting Lisbon held a friendly match against Manchester United with Sporting's final score 3-1 M.U, a shocking defeat for a British giants of the caliber of Manchester United. Furthermore this victory was all masterminded by a brilliant game from young Cristiano Ronaldo from Sporting, making Manchester United players urge Sir Alex Ferguson, their coach, to immediately recruit the brilliant young player. Finally Ronaldo was brought in from Sporting Lisbon to Manchester United. Sir Alex Ferguson asked Ronaldo what number of numbers he expected. Cristiano Ronaldo answered 28, because that was the number he used in the Sporting Lisbon team and also it was his favorite number. However, Sir Alex Ferguson instead said no, starting now his back number is 7. Ronaldo also proved the quality he had. Using number seven, which has been known as a sacred number at Manchester United, Ronaldo has successfully become one of the main players of Manchester United. The 2008 Balon d'Or title winner presented three Premier League titles, a FA Cup title, and a 2008 Champions League title. He played 196 times and scored 84 goals. However, Ronaldo's gait at Old Trafford ended after 7 years of defending Manchester United surprisingly On July 1, 2009, he moved to Real Madrid by breaking a record transfer of 80 million pounds, which made him the most expensive player in football history. When introduced by Florentino Perez as a new El Real player, around 80,000 fans filled Real Madrid's headquarters, Santiago Bernabeu. Ronaldo is also the first player to score 40 goals in a La Liga season, beating the previous record of 38 goals and finishing 4th in 10 Real Madrid's top scorers with a total of 252 goals (as of May 24, 2014) where number 1 is occupied by Raul Gonzales with a collection of 323 goals. As one of the two best players in the world and as one of the best players to have played besides Lionel Messi, Cristiano Ronaldo plays an attacking role, most often plays either as a striker or as a winger, and is known for finishing, speed, dribbling, positioning, passing and crossing ability. He is able to play on both wings also in the middle, making him a very versatile attacker. Ronaldo took Irina Shayk as her lover, a model from Russia since 2010. Their meeting began with the process of making adverts for underwear products and is still ongoing today. In July 2010, Ronaldo also announced that he had a son named Cristiano, Jr. The existence of this CR7 child is quite guarded even though Ronaldo claimed full responsibility for his son. Cristiano, Jr. several times seen appearing in his father's match accompanied by his grandmother. 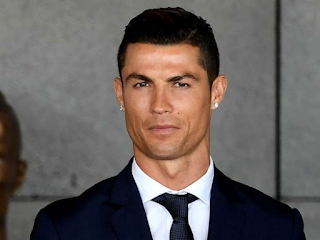 Ronaldo has previously been in contact with British models Alice Goodwin and Gemma Atkinson, and since the beginning of 2010, he has been dating Russian Model Irina Shayk. Ronaldo was active in social humanity proof, he was involved in raising aid funds for victims of the Aceh tsunami in December 2004, including helping Martunis an Acehnese boy who had survived after 19 days stranded by the tsunami. March 26, 2008, was appointed as the Humanitarian Ambassador to UEFA and the International Red Cross. Ronaldo and UEFA raise funds of 100 thousand CHF (Frank Swiss) or 1 billion rupiah. In February 2013, Ronaldo and UEFA again handed over the humanitarian funds that had been raised to the International Red Cross (ICRC) worth 100 thousand euros (Rp1.5 billion) for a physical recovery program for victims of the Afghan conflict. In January 2012, Cristiano Ronaldo was named the Ambassador of the NGO Save the Children, an independent institution that focuses on protecting and saving the future of children. As his duty, Ronaldo helped raise social funds, including from world soccer players to help save children. Among them through a stock auction signed by Cristiano Ronaldo, Alessandro Del Piero and Lionel Messi. On June 26, 2013, Cristiano Ronaldo was named the Ambassador of Bali Indonesia Mangrove Care Forum. The certificate was handed over in Denpasar Bali, by the Indonesian government, represented by Forestry Minister Zulkifli Hasan. Ronaldo's activities as Duta Mangrove are humanitarian activities and are not paid. Ronaldo was willing to become the Mangrove Ambassador because of his introduction to Martunis, an Acehnese boy who was a victim of the 2004 tsunami. Mangroves were one way to cope with the tsunami disaster. As the Ambassador of the Mangrove Care Forum, Ronaldo brought the message "Save the Mangrove, Save the Earth." In March 2010, France Football placed Ronaldo third on the list of the highest paid footballers in the world, behind David Beckham and Lionel Messi, with £ 27,000,000 (€ 29.2 million) in combined income from salaries, bonuses and profits outside football. Its net worth is estimated at $ 160 million. 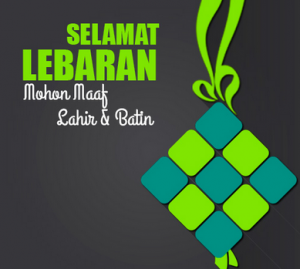 DP BBM Selamat Lebaran Idul Fitri - Kumpulan gambar kata kata ucapan selamat hari raya lebaran idul fitri atau dp bbm animasi bergerak lebaran dan meme kata ucapan selamat lebaran idul fitri akan menjadi pembahasan pada artikel yang kami suguhkan pada kesempatan hari ini. Untuk menambah kemeriahan menyambut datangnya lebaran idul fitri di tahun ini maka kami akan menyiapkan gambar animasi bergerak gif selamat lebaran dan meme ucapan lebaran idul fitri sebanyak mungkin yang kami bisa dengan selengkap lengkapnya. Saling bermaaf maafan di hari raya lebaran idul fitri merupakan suatu hal yang sudah biasa kita lakukan setiap tahunnya dan kita pun sudah merasa lumrah akan hal itu, akan tetapi akan terasa sulit bila mengucapkan segala kata maaf untuk orang orang yang berada jauh dari jangkauan kita. Maka dari itu kami disini bersedia menyiapkan dp ucapan lebaran atau gambar selamat idul fitri, meme idul fitri yang mengandung kata mutiara didalamnya supaya dapat mempermudah anda semua untuk saling bermaaf maafan di hari yang fitri untuk kembali suci. Apabila anda berkenan untuk memberikan ucapan selamat lebaran idul fitri dengan sebuah gambar animasi gif atau meme hari raya idul fitri silahkan lanjutkan membaca dan melihat artikel yang kami postkan kali ini. 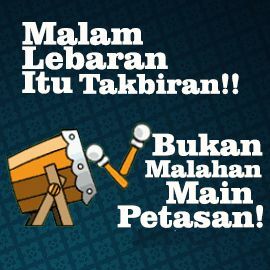 Memberikan ucapan lebaran dengan sebuah gambar atau dp bbm akan terasa sangat simple dan praktis karena anda dapat mengirimkannya secara langsung dan tak perlu repot repot mengetik terlebih dahulu seperti pesan kata kata ucapan. Bagi anda yang sudah tidak sabar untuk melihatnya secara langsung, silahkan cek selengkapnya dibawah ini. Sekian informasi Gambar Kata DP BBM Ucapan selamat Lebaran Idul Fitri 2019 / 1440 H yang mampu kami sajikan untuk anda, kumpulan gambar di atas dapat anda pilih sesuka hati dan bebas anda unduh sebanyak banyaknya. Semoga saja dapat bermanfaat bagi anda semua yang membutuhkannya dan saya pamit mohon maaf bila ada salah salah kata dalam penulisan yang kurang berkenan di hati anda. Selamat memilih gambar gambar yang anda sukai dan tak lupa saya juga mengucapkan selamat hari raya lebaran idul fitri, mohon maaf lahir dan batin.